Your Nintendo Wii is older than your new TV, and it looks as though you can’t connect it. Will you have to sacrifice progress on Super Mario Galaxy, or is there something you’re missing? Here’s how to connect a Nintendo Wii to your TV. My Wii Doesn’t Have the Right TV Port! If your new TV is short of legacy inputs, or you have multiple devices vying for the same ports, the following instructions (intended for HD and HD Ready TVs) should help you to connect your Wii to almost any type of television. Note that whichever solution you use, you’ll be limited to the Nintendo Wii’s maximum output resolution of 480p. In most cases, this brief instruction should be all you need to get your Nintendo Wii connected to a TV set. The Nintendo Wii can also be enjoyed with an S-Video cable connected to your TV. The RCA connectors might also be included, giving you the option to use either depending on your TV. For S-Video connections, however, you’ll need the red and white audio cables to be connected to your television as well as the S-Video. Typically, these will be grouped together on the back or side of your TV (occasionally hidden behind a door). Once connected to the TV and the Wii, with both devices are switched on, you will be able to use the Input Select or similar button on your remote control (see above) to find the signal from your Wii and begin enjoying your game. Want to use the SCART connector on your TV? If you’re limited for ports, this might be a good option, as the SCART is also easily extendable, supporting splitters and switched hubs for multiple connections, in some ways like a USB hub. RCA to SCART adapters aren’t as common as they used to be. If you were lucky, one might have been included with your Nintendo Wii. Otherwise, you’ll need to buy a new one. 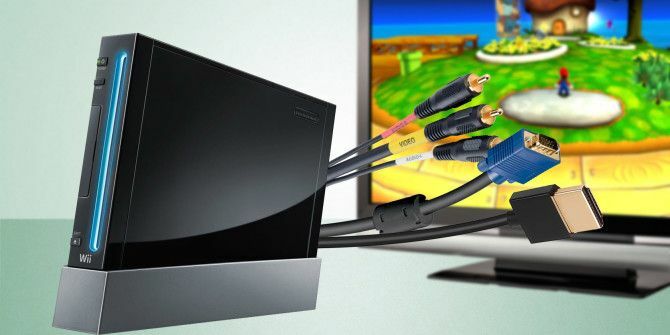 With three inputs (red, white and yellow) once the RCA cable is plugged in, you can connect the SCART to the back of your TV, switch the input mode, and view the SCART input channel on your TV. Again, using an adaptor, you can also connect your Nintendo Wii to a VGA monitor. 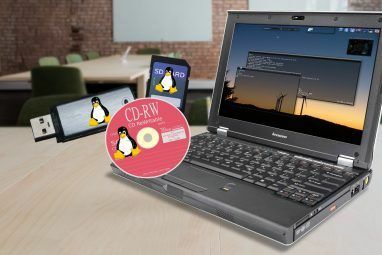 This is particularly useful if your Wii has been relegated to a back room, for instance, or you’re using it as a PC after installing Linux Not Just For Desktops: 10 Devices You Can Install Linux On Not Just For Desktops: 10 Devices You Can Install Linux On If you're looking for a new Linux project take a look at this list of devices you can install Linux on. Read More . Here, simply connect the cable to the VGA input on the TV or monitor, hook it up to your Wii, switch on the display device, and ensure that the input option is set to VGA. Available for under $10, a component cable will connect the Nintendo Wii to the component input jacks on the back or side of your TV. This is an increasingly rare collection of five inputs, two for audio, three video. 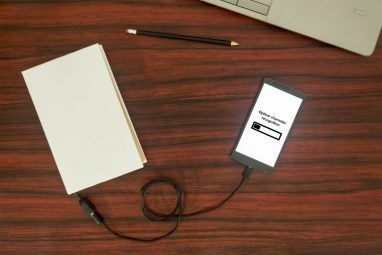 If you purchase a device like the one shown, you’ll begin by connecting the red and white audio connectors into the matching inputs, and the green, blue and red likewise. In the rare but occasional absence of matching color coding on the inputs, you’ll need to pay attention to the labels. For audio, this means red is right, left is white. For video, green is Y, blue is Pb/Cb, and red Pr/Cr. With the cable connected at both ends, select the correct input mode on your remote control; note that if the TV has Progressive Scan, this will need to be enabled before you can see images from the Nintendo Wii. You’ll also need to open Settings > Wii Settings > Screen and set the TV Resolution setting to EDTV or HDTV (480p) and Widescreen Settings to Widescreen 16:9, clicking Confirm after both changes are made. Note that component inputs, are regularly found alongside the RCA inputs, as the red/white audio cables can be used for both. Make sure you get the right cables in the right ports! Originally, the component cable option was the only way to connect the Wii reliably to a HDTV. Happily, it is now possible to use a HDMI converter for audio and video to produce a good quality image on a HD or HD Ready TV. With one of these inexpensive devices attached to the back of your Nintendo Wii, you’ll be able to connect a HDMI cable (but don’t spend too much Why You Should Never Spend More Than $10 On An HDMI Cable Why You Should Never Spend More Than $10 On An HDMI Cable To get the best out of your HD equipment, be it a nice widescreen television, a Blu-ray player, a PS3, or an HD streaming set-top box, you need at least one HDMI cable. Or more... Read More ) from your TV to your Wii, and view the output on the HDMI channel using Input Select or a similar option on your TV remote. It’s a quick, simple solution to connecting your Nintendo Wii to any available HDTV using the most popular modern video connection standard. For the best results connecting a Nintendo Wii to your TV’s HDMI port, consider the Wii Dual solution. Head to shop.dansprojects.com to find out more. Kunz offers an installation service, but if you’re feeling confident, the Wii Dual will eventually be available to buy and install yourself. Although digital audio isn’t present for the Nintendo Wii, you can still get good sound. Mono, stereo and surround—specifically, Dolby Prologic II—are available, the latter providing a simulated surround sound ideal for entertainment systems with a surround sound setup. To switch between these options, open Settings > System Settings > Sound, and make your choice. Remember to Confirm your choice when you’re done. Easily Connect Your Nintendo Wii to Any TV! While you might not have that old television any longer, if you want to carry on gaming on your Nintendo Wii, you can easily hook it up to your new TV. Although 480p is the best quality resolution it can manage, all of your old games will be ready to play. Not only that, you can enjoy a whole world of classic video gaming with these great retro emulators for the Nintendo Wii 30+ Great Emulators You Can Run on Your Nintendo Wii 30+ Great Emulators You Can Run on Your Nintendo Wii With these emulators, you can play virtually any retro video game on the Nintendo Wii. Here are the best emulators on the Wii. Read More . Explore more about: HDMI, Nintendo Wii. I bought a HDMI 1080 converter, but it didn't work. It comes up with the error message 'Not Optimum Mode Recommended Mode 1920x1080'. I tried changing my monitor setting from pc to AV mode, but still no luck. I am using a Samsung SyncMaster SA950 LED HD Monitor. I found a fix to my problem. I just changed my Wii settings to a progressive screen settings mode on another tv, and then I could use it the converter on my pc monitor. Have just bought a new Samsung smart TV - it came with composite adapter and worked first time. Just had to change a few of the settings, screen width etc but otherwise all fine and good picture and sound. Much easier than setting up our old Humax pvr has proven to be ... still trying to get that to work properly with the new telly! Just bought a new Samsung smart TV - it came with composite cable adapter and worked first time. Had to change screen width settings, etc. but all fine. Much less trouble than connecting our old Humax pvr has proven to be! Hello I ordered the hdmi converter. My screen has a lot of blue black and white static I can hear the sound and tell when the remote is making a selection but because it's there's so much static I cannot see the picture at all. Any suggestions? The same thing happened to us tonight when using the Yellow/Red/White cable that came with the Wii. We realized we need the upgraded Wii HDTV cable that has Red/Blue/Green wires and have ordered that. This has not worked for me. Not sure what the solution is. I have a pc monitor (vga and dvi input) and I got the wii. I also ordered a Wii2hdmi little thing that many people said worked great and a dvi-hdmi cable to connect it to the monitor. When I plug everything I get a black screen with a "Not Optimum Mode Recommended Mode 1920x1080 60hz" message. The Menu button on monitor does not work. In other posts somebody recommended to change a setting>screen>tv resolution>hdtv, but yes, for that I would need a tv handy first. Is there a away around this? If I could take the wii to a friends house and then there change the setting, will they stay put? Thanks. Settings *should* stay put. Try it out and let us know! Hello, very interesting post, but i have a new wii u and my projector has an input for the TV antenna so I watch the tv directly and it has also dvd... I have the red,yellow and white inputs and outputs but when i connect mi wii u i can not see anything. I do not know if i have to search for it as one search in the tv for a channel or if i have to do something special. I haven no a normal TV at home so i can not configurate de wii u ... And it the box of my projector says that i can use my consol with it. ( I have the cable with the CRA and HMDI males) . What i can do? Maybe is the cable that does not function. You should be able to use the old-style Wii AV cable on the WiiU. Got an hdmi converter for my wii. Have picture but no sound. I have the same problem here. I bought a Wii to HDMI converter for my Wii. The picture works great but there is no sound. I thought the HDMI plug would carry both the picture and the sound. (?) HELP!! Try a different HDMI cable. Also, check that the converter you chose definitely carries sound. It might be defective, too, so consider this. My tv doesn't have the yellow plug? What else can I do to connect my wii? Is there a way to connect the Wii using the USB port? It's the only open option on my TV. Thank you! Sadly not, Karen - if you have a USB port on your TV, it's typically for engineers to run updates, or with newer models, to view media stored on a USB device. Thanks for this article. I just ordered the HDMI converter from Amazon. Crossing my fingers that it works. I've found that the Wii emulates just fine on a decent PC. Its peripherals are bluetooth. 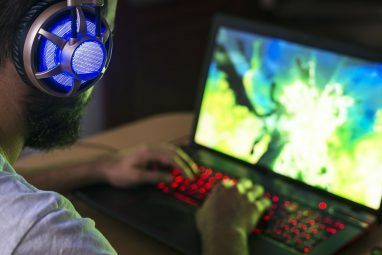 Why bother with a noisy console with outdated connectivity options at all? It's a fair point! But emulation isn't always an option that's open. because emulation is far from perfect. despite the advances in emulators they're full of compatibility issues, even nintendont on wii u.